This is the only photo I took at the third antique store we visited. Everything in the store was a bit over priced and a bit “grandma-looking” if you know what I mean. And then there was this coffee mug sticking out on a shelf like a sore thumb and it made me laugh. 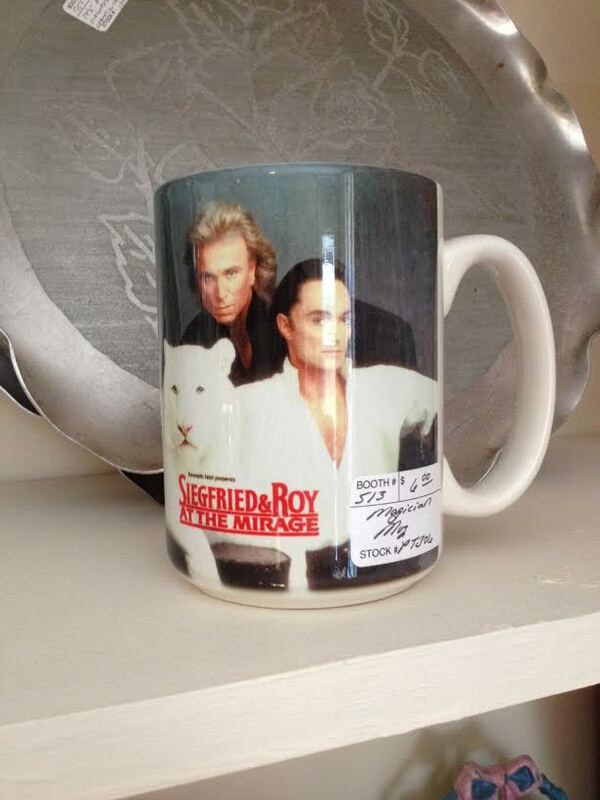 And check out the price tag – yep, $6.00 for a “magician mug.” I would have paid $2.00 for it.